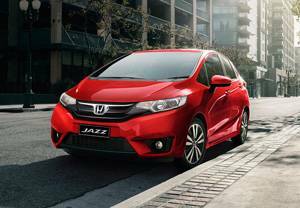 Looking to test drive or buy a Honda Jazz? At North Jacklin Honda we offer great customer service when looking at the Honda Jazz range. Beginnings are exciting, and the brilliant new Jazz will have your heart racing from the start. Equipped for work or play, from its eye-catching design to its punchy performance, the new Jazz is brimming with confidence. Require a service on your Honda Jazz? Enquire now with North Jacklin Honda through our Service department online.